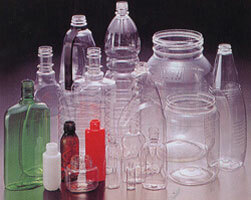 We are a prominent manufacturer of PET Jars. Our PET Jars are air tight and moisture proof. We offer a varied variety of our PET Jars. The ranges of PET Jars, manufactured by us are of premium quality as they are made from best available raw materials. Our PET Jars are commonly used to store different food items, water, toys and other materials. These jars are light in weight and are available in different shades, patterns and sizes.